In 1968, Unity Beef Sausage Company, now known as Unity Brand Halal Products started with a commitment to serving the millions of Muslims in this country and all Americans with halal beef, poultry, lamb and goat products. Founded by Akbar T. Salaam and headquartered in Newark, New Jersey, Unity Brand Halal Products specializes in making halal beef, chicken and turkey sausage. Mr. Salaam leads a successful operation that slaughters, processes and sells halal (lawful) meats, an equivalent to kosher products. 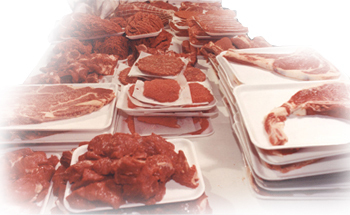 In fact, when Mr. Salaam and his team started slaughtering, area Muslims were eating “unlawful” and “non-halal” meat. In efforts to solve this problem and provide Muslims with the products that meet their standards, Unity Brand Halal Products prides itself on providing halal beef, poultry, lamb and goat products. Unity Brand Halal Products also specializes in beef, chicken and turkey sausage- made with special seasoning to give customers the southern sausage taste.